Cristiano Ronaldo's recent move to Juventus has let everyone in shock over the summer. The Portuguese legend has now an enormous challenge ahead, as he'll be expected to lead the Vecchia Signora to their first Champions League title since 1996. Now seeking an eighth straight Scudetto, Juventus have the Italian top flight locked down and it is beginning to look like there is no way for them to be stopped. Napoli pushed them closer than they have been in their seven straight successes last season, by becoming the first club to ever surpass 90 points and not be crowned Italian champions. As impressive as the Partenopei were, though, they still came up short and Juventus' response to being tested was to bring in one of the world's very best players. AC Milan, Roma and Inter have recruited well this summer, so it is easy to understand the frustration of their supporters with the ex-Real Madrid superstar arriving in Turin. While many are hyping up the deal as a positive for Italian football, it is not all good news. Competitiveness at the very top has been lacking and too often unfairly used against the overall quality of the league. Now, the eyes of the world will be on Serie A because of this signing and what new viewers will see is a league with one team even more clear at the top and in a league of their own. Cristiano's €105 million transfer will be deemed a success or failure based not on what Juve achieve domestically, but on whether or not they can finally go one step further and win the much-coveted UEFA Champions League title. While backing the Bianconeri for success in Italy is as much of a guarantee of a positive outcome as is possible, but they represent good value in Europe and might be a worthwhile use of your Genting promo code. 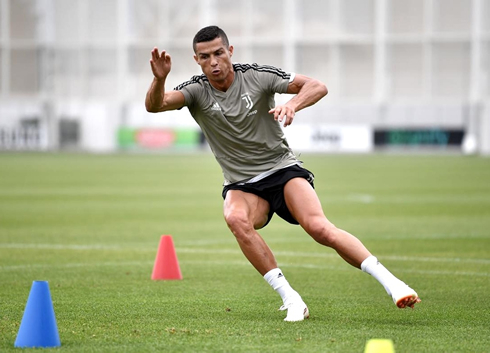 Manchester City, Barcelona, Atletico and Real Madrid will provide stern competition in the Champions League, but with Cristiano in their ranks, Juve will fancy their chances of bettering their two second placed finishes in the last four seasons. If there is any one who can change a team's fortunes, particularly in the Champions League, that person is certainly Cristiano Ronaldo. Cristiano Ronaldo next game for Juventus is on August 18 of 2018 against Chievo Verona. You can watch Chievo vs Juventus, Guingamp vs PSG, Barcelona vs Alaves, Birmingham City vs Swansea City, Chelsea vs Arsenal, and Cardiff City vs Newcastle, all matches provided from our live football game pages.